The Thais divide the year into three seasons: the cool season, hot season, and rainy season. For most westerners, this translates to "hot," "really hot," and "really hot and wet." Temperatures rarely drop below 25° C (70° F). See the box at right for current conditions. Visit Weather Underground for more information. Phuket has some of the most constant temperatures of all the popular tourist destinations in Thailand. Highs and lows vary by only about five degrees Fahrenheit over the course of the year. The rainy season is generally shorter and more pronounced in Phuket than it is in Bangkok. The rain increases sharply in September, but then tapers off just as quickly. 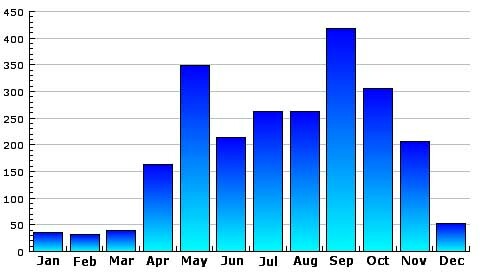 January to March are the best months to visit if you want to avoid just about any possibility of rain. It's perhaps worth noting that Samui and Phuket have different weather patterns. At the height of the rainy season in Phuket, Samui will still be relatively dry. Depending on when you want to travel, Samui may be the better option.